Researchers at Facebook are now tackling go with an increasingly important form of artificial intelligence known as deep learning, Wired magazine reported earlier this week. “Facebook is using similar technology to recognize a promising Go move—to visually understand whether it will be successful, kind of like a human would,” writes Cade Metz. 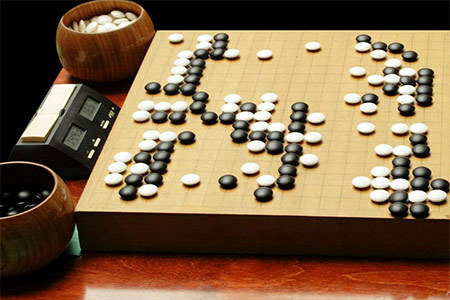 “Researchers are feeding images of Go moves into a deep learning neural network so that it can learn what a successful move looks like,” as opposed to using brute computing power to analyze the many possible outcomes of every possible move. Though this system is only about two or three months old, Facebook CTO Mike “Schrep” Schroepfer told reporters at Facebook’s California headquarters last week, it can already beat systems built solely with more traditional AI techniques. The company’s go work—which Schrep described as “super early”—demonstrates why deep learning is so powerful and how it can continue to push the boundaries of what machines can do, Metz reported.